-JdK- Gary in the UK sent these words on his 1929 Model 19. 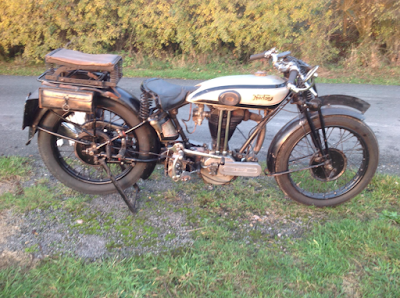 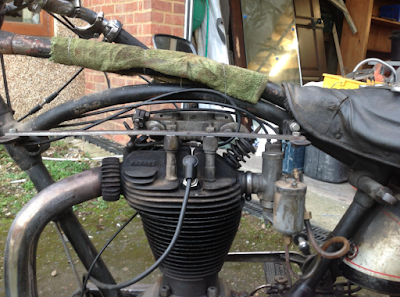 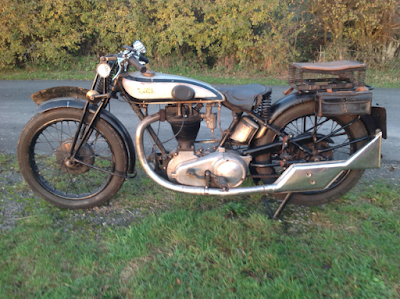 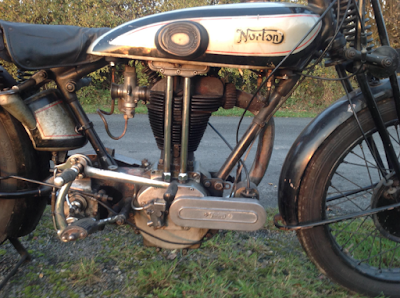 "On a recent VMCC run on my 1929 model 19 Norton the petrol tank decided to split on the underside bringing my run to an end. A good friend off mine Harold Beal repaired the tank for me and while the tank was off I took the chance to fit a steady bar to the top off the engine. 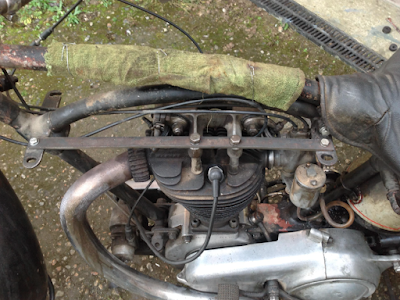 As you are aware the model 19 has a 120mm stroke and I have read that this process has been done in the past so I will give it ago and see if it makes any improvements, but I must say the motorcycle rides very well despite the appearance."